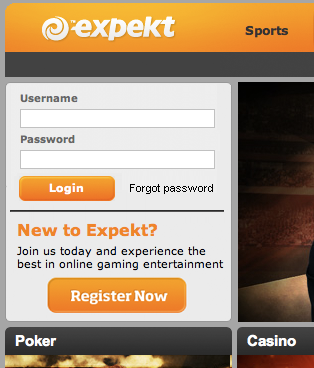 Expekt.com redesigned their portal a while back. They did a pretty good job and the new design looks much better than the old one. But I think there are a few inconsistencies when it comes to the player experience in the portal. In today’s redesign I’ll address one of them. It was a pattern I saw myself doing after logging in a number of times over a couple of weeks time. Image 1. This is how the login and register dialogue looks today. Today players have the login dialogue in the top left corner. 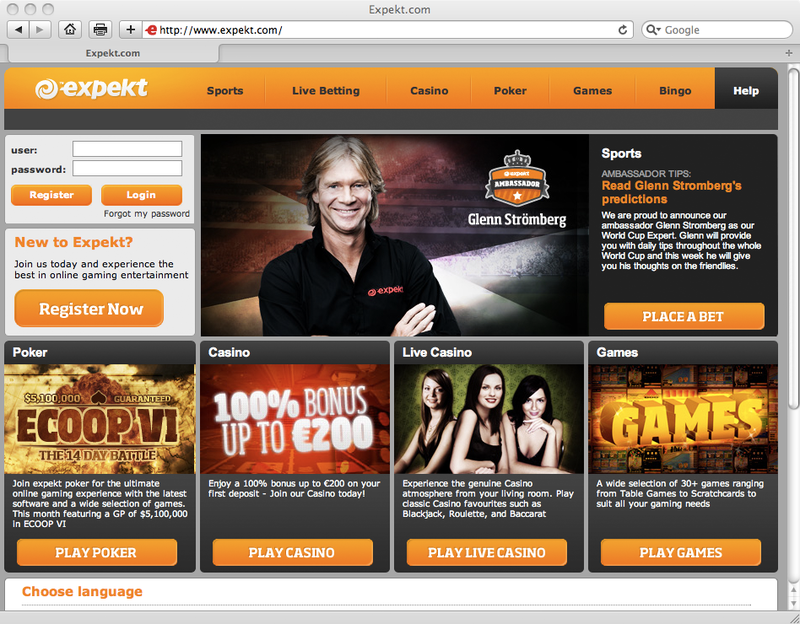 The normal flow for an Expekt customer would be to type in their username and password then click on the “Login” button. In my case I 4 out of 5 times accidentally clicked on the “Register” button when I was trying to login. The reason for this is that there isn’t any primary action for the player. The two buttons looks the same and the “Register” button is placed where I expected the “Login” button to be. Another inconsistency is the wording “user” and “password”. 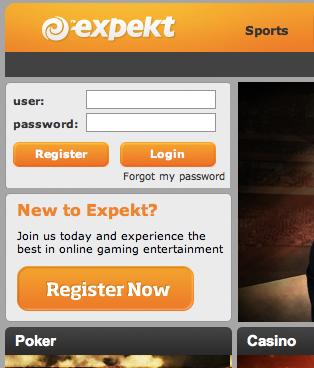 On the registration page Expekt use “Username” and “Password”. This should be used here as well. The “Register” button is duplicated as well. There is a much bigger button underneath. Image 2. My redesign of the Login / Registration dialogue. In my suggestion I’ve removed the “Register” button from the login dialogue. I’ve also used the same wording and layout as on the registration page. Simple changes that makes the dialogue clearer and will minimize the kind of error I made.